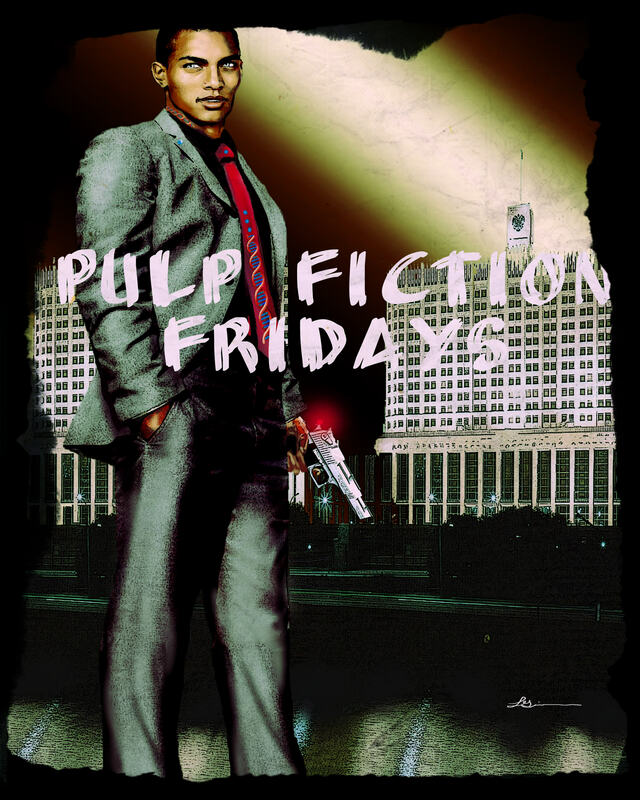 Each Friday is Pulp Fiction Friday. Authors will contribute a post discussing the writing of pulp, mystery, spies, and whodunits in the realms of science fiction and speculative stories. Welcome to Teel James Glenn to Pulp Reports for some Q&A! What is pulp? What makes it different from other genres? My favorite quote to describe the pulp style of writing is from Algys Budrys who boiled it down to “a clear cut solution to a sentimental problem.” But I think it can be whittled down even further to that to one word: Passion! Or perhaps breathtaking. Or exciting. No pulp writer ever sold a story that bored. Just wouldn’t happen and that is the credo I follow in scribing the adventures I do. Action. I was a fan of it both on screen (old serials were a first love that got me into 40 years of stunt/fight choreography work), in comics (Marvel, DC and all Gold Key comic were how I literally learned to read! ), and lastly pulp books (I was fortunate that, Tarzan, Conan and the Doc Savage reprints came out at just the right time for me to absorb them, often reading two books a day!). So called ‘literary’ fiction is often contemptuous of actual action/conflict-as if living instead of thinking about living was more important. Why do you write pulp? What do you enjoy about it? Love about it? the reader, and therefore, as a writer, I feel as if I am connecting more solidly with my readers. It is hard to say which writer was the one who truly ‘sparked’ my mind to try my own hand it. Early on I read Andre Norton books, Doc Savage books and R.E. Howard’s Conan tales. I discovered pulp- both the idea of it historically and other actual series- later in high school, by the time I was already beginning to write tales. What’s next in terms of pulp fiction? Where does the genre go from here? I think that genre is being accepted as simply good writing now. Many of the so-called ‘classic’ writers actually were the pulp writers of their day- Shakespeare (remember only sonnets were considered literature in his day), Dickens, Dumas, Bradbury, Hammett, etc. are now all required reading. I think Burroughs, Dent, Howard and Spillane will receive that kind of respect in the future. Who is your favorite pulp character? Why? It’s a toss up between Doc Savage, Tarzan and Conan. In all three they were self ‘acutualizing’ individuals who lived by their own code of justice and were uncompromising when it came to honor. Most of my own creations- Dr. Shadows, Moxie Donovan, Lord Shoutte, Ku’zn and Athelstan Grey all have a very strong code of honor and follow it regardless of personal risk.